My kids love special treats that are a mixture of things like marshmallows, crackers, candies, etc. 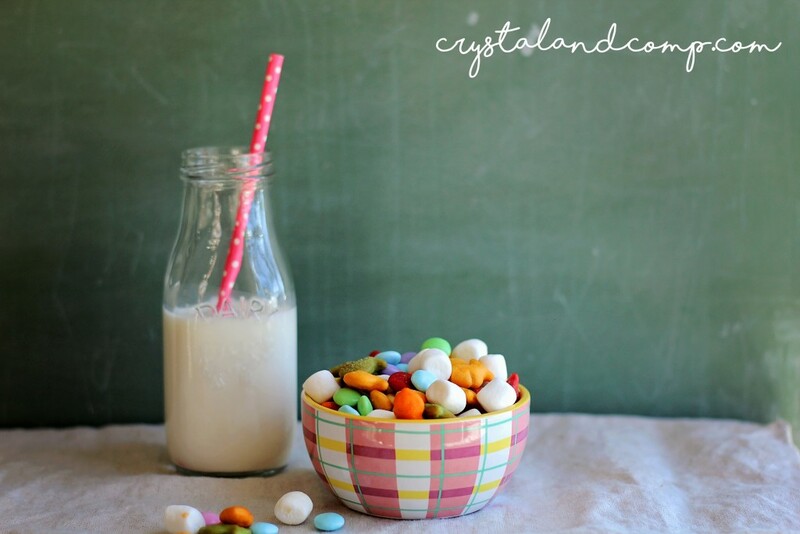 I thought it would be awesome to make an Easter Snack Mix that requires no cooking at all. We seem to be fans of salt sweet things. Really, anything with marshmallows in it, my kids think is a special treat. 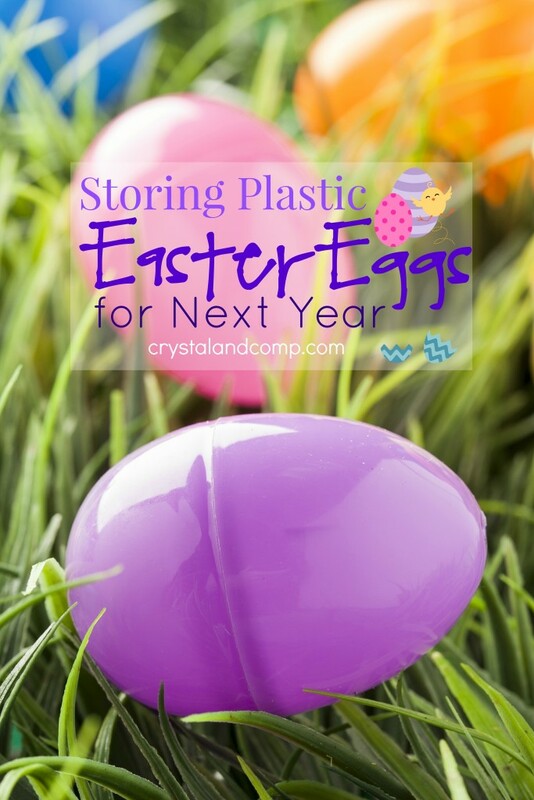 This snack makes a lot and can be stored in an air tight container and used over the course of many days, or taken to a big event where you are celebrating Easter. Dump all of the items into a large bowl. Use your hands or a couple of spoons to mix everything up. 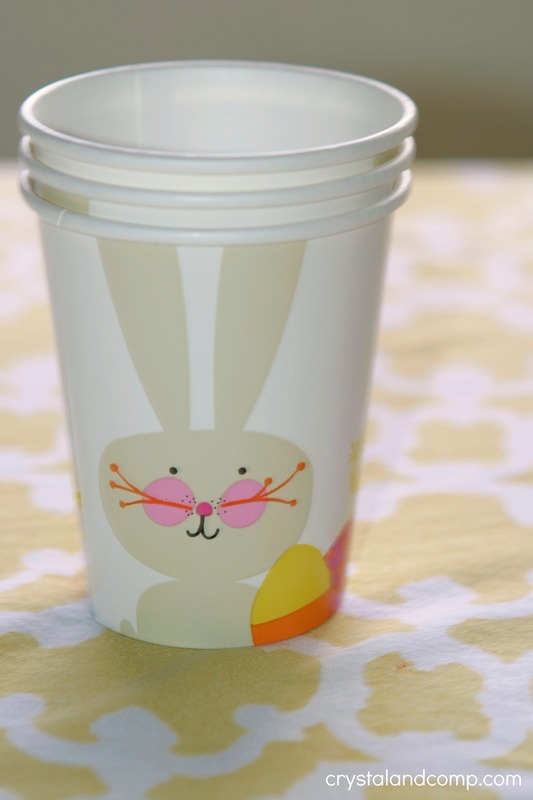 If you are serving this now you can use cute little Easter cups. I found these a few years ago in the Dollar Spot at Target a couple of years ago. 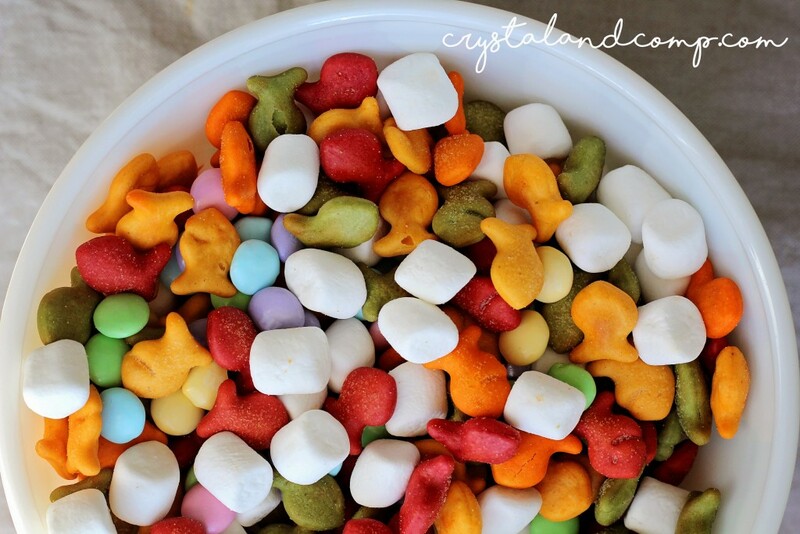 You can also put the snack mix in cello bags if you’re giving as a gift and use that printable I linked to above. Or, just serve the mix as an afternoon snack with a glass of milk, like we did. 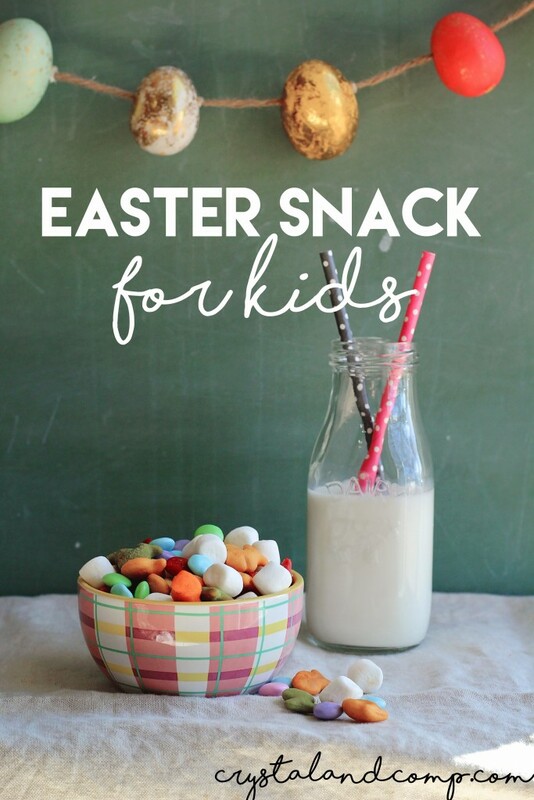 Super easy snack and the kids love it! This keeps for a while in an air tight container if you want to make a batch and serve it each afternoon for a snack. While you’re here check out our M&M Easter Snack Bars and our Cadbury Easter Snack Dip. 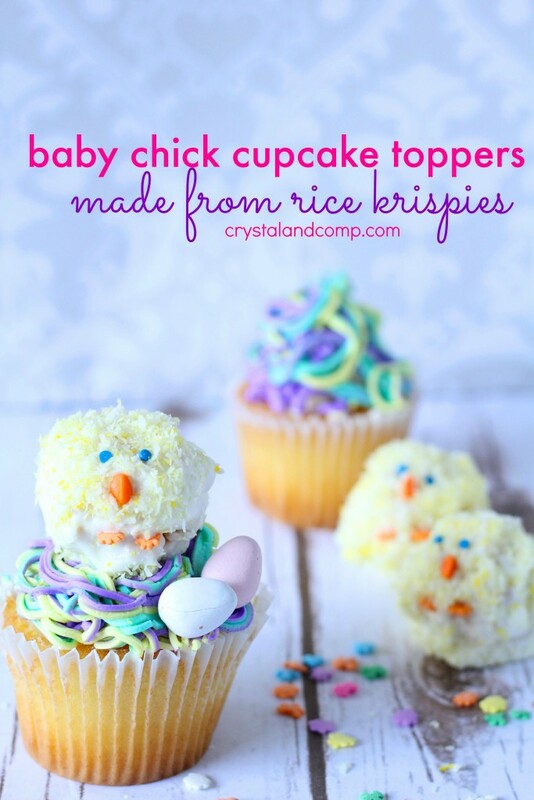 Very cute but would only be a special treat because that is soooo much sugar for a little snack, at least for my boys. However, I know my boys would love this. Thanks for sharing! Lol, anything with marshmallows in it your kids think is a treat!! Mine love marshmallows, too! This looks so pretty and colorful all mixed up together!! Thanks for linking up at the #HomeMattersParty ! 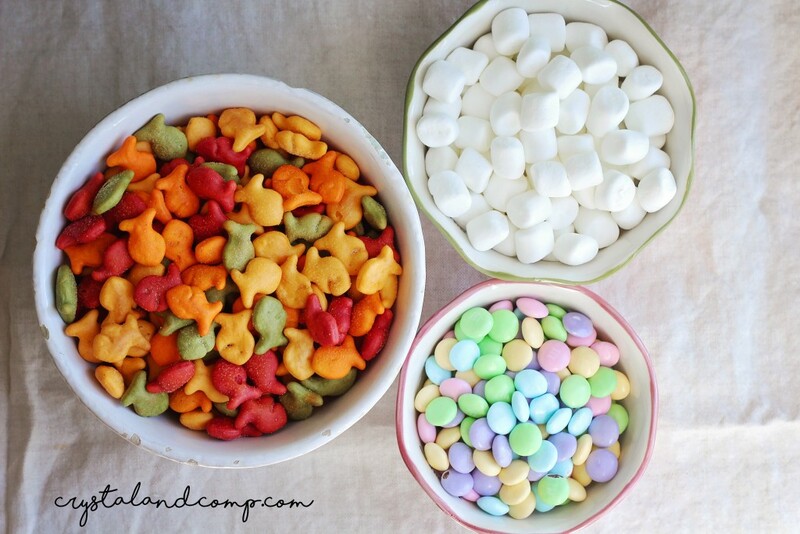 This mix looks so bright and tempting! What darling cups to portion it out in! You are right. My kids would most definitely love this. Thanks for linking up at #SaucySaturdays.